Big Sean And Jhené Aiko Bring “Selfish” To Jimmy Kimmel Live! A performance to promote their new collaborative project. 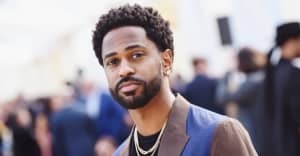 Big Sean is excited about his latest project. "I've made some of my best/favorite songs of my career with ‪@JheneAiko‬," he wrote on Instagram last night. "Our chemistry with this music is undeniable. So excited to give u guys new music... We do this for y'all... I'm glad we started ‪@TWENTY88." The pair displayed that chemistry on network TV last night. The performance started with both artists seated and facing in opposite directions, a fitting image for a song in which lovers hurl accusations back and forth. Watch above.